Mehmet Ali Agca, the Turkish man who shot and injured former Pope, John Paul II in 1981 has laid flowers on the dead pontiff’s tomb in the Vatican. 56-year-old Agca told the police he felt the need to make the gesture, according to a report by Italian media. The visit comes 31 years after the late pope John Paul II visited Agca in prison and forgave him for the attempt on his life – shooting him twice at close range. The former convict served 19 years in jail for attempted murder but the motive behind the shooting is yet to be uncovered. 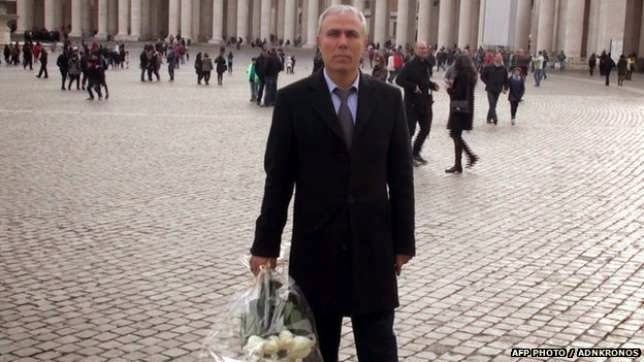 Reports say Agca laid white roses at the tomb of the late Pope on Saturday, in his first visit to the Vatican since his attack on John Paul II on 13 May 1981. However, Agca’s request for a face-to-face meeting with Pope Francis has been denied by Vatican officials a second time. “He has put flowers on the tomb of John Paul II. I think that is enough,” Vatican spokesman Federico Lombardi told La Repubblica newspaper.